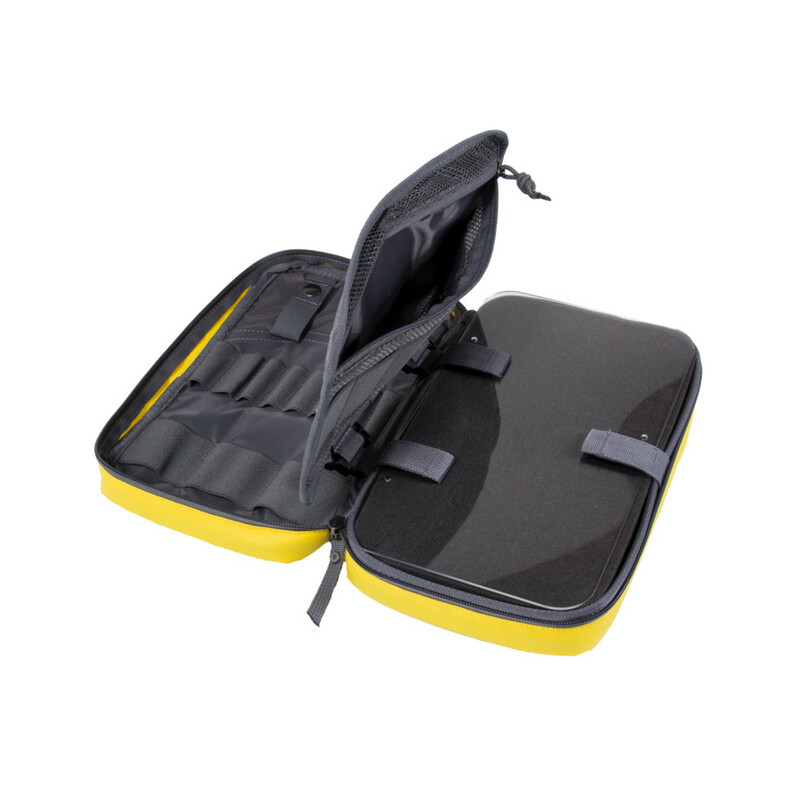 The Medication Kit features an innovative Pick n' Pluck foam that works together with a clear window, providing users with the ability to safely lock their medication in the kit in a way that is customised to their needs. 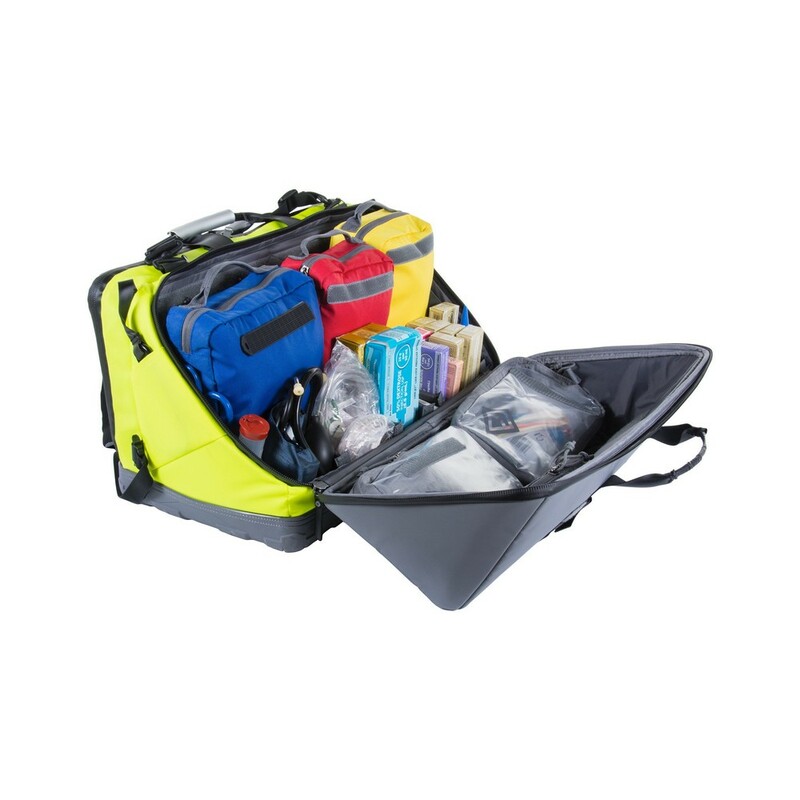 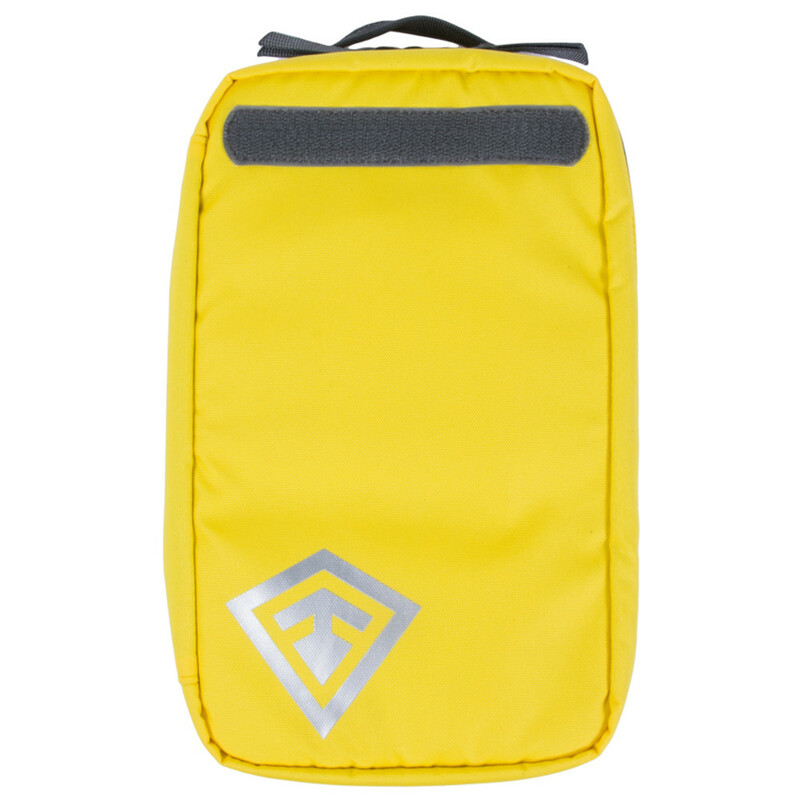 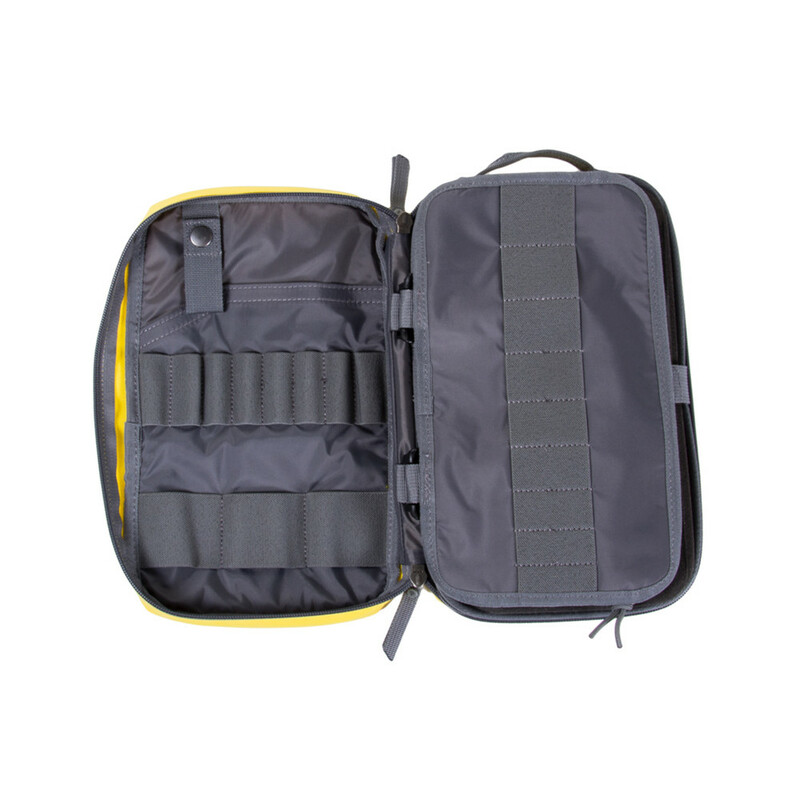 The light interior of the kit provides easy viewing while the bright yellow colour and DotTac Name Tape compatibility allows the kit to be easily located or labelled. 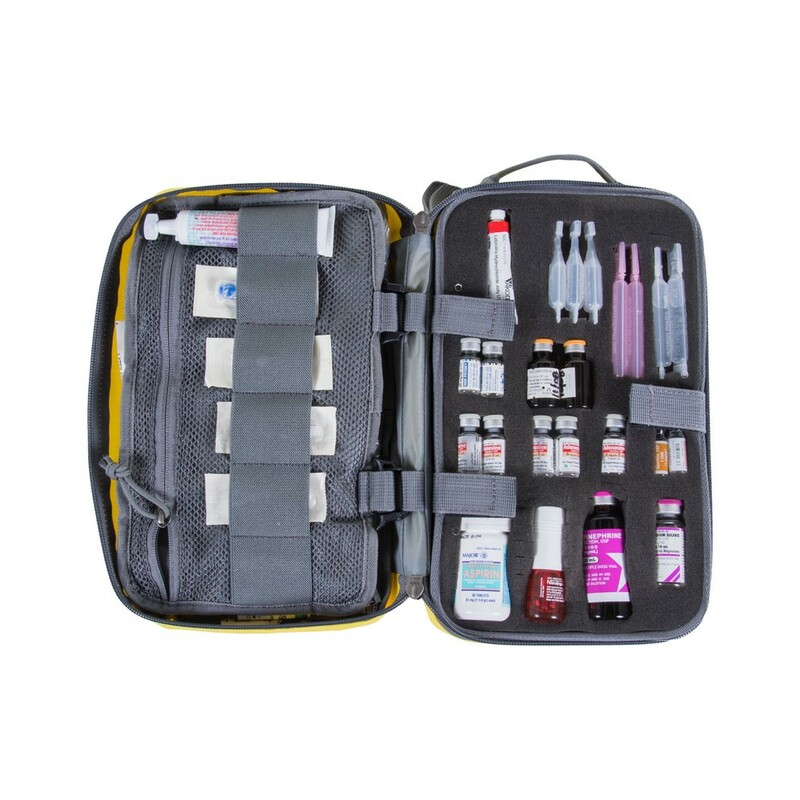 The Medication Kit features a snap-lock closure, keeping your medication securely in place and easily visible. 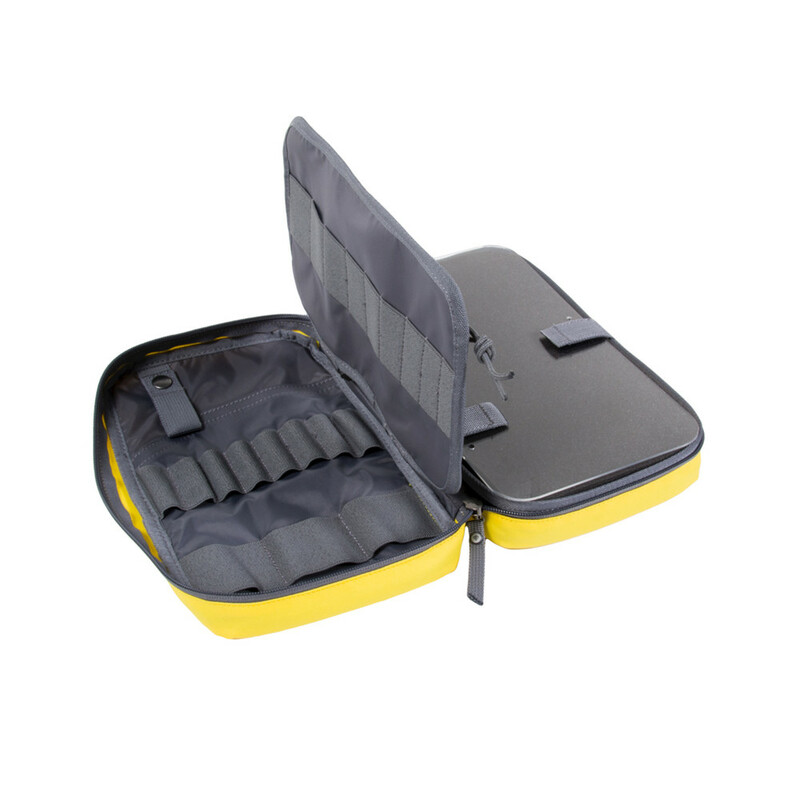 A foam interior allows users to customise the layout of all vials, ampoules, and bottles in First Tactical's Pick n' Pluck Foam. 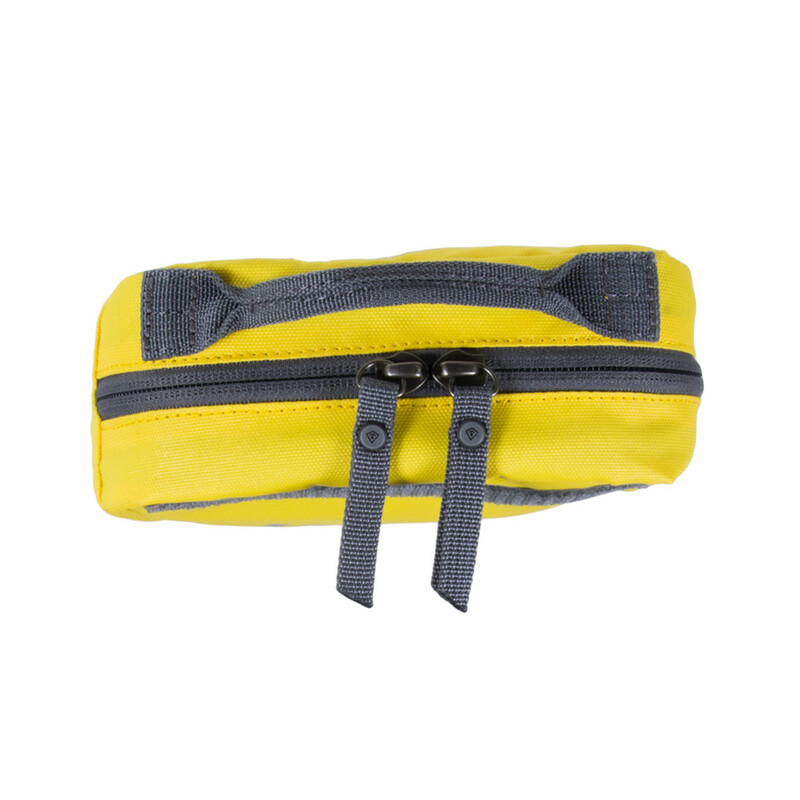 The Medication Kit is yellow in colour allowing operators to find their kit or describe it to others easily. 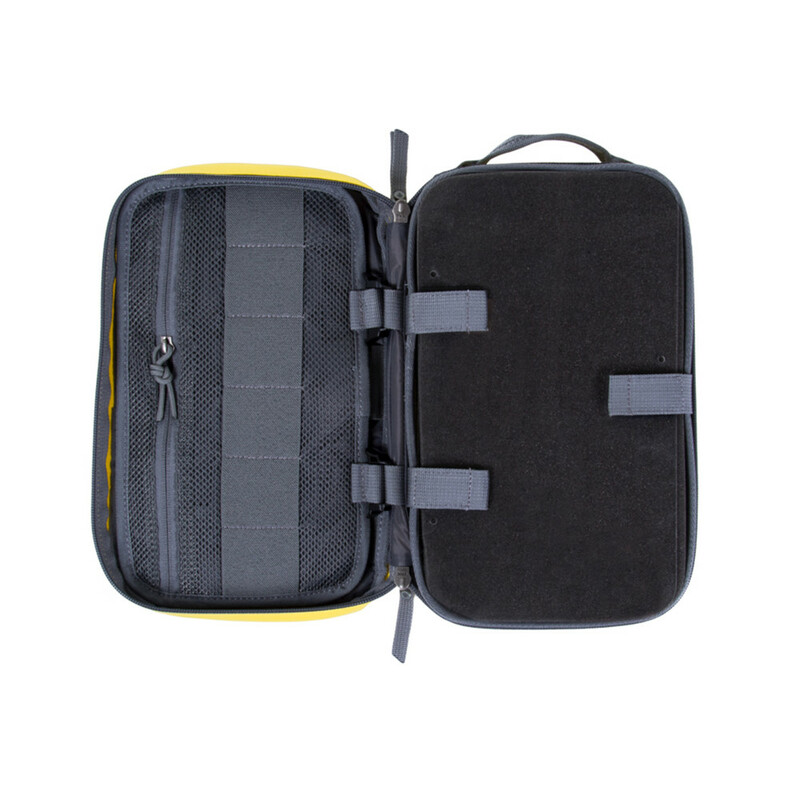 A DotTac Name Tape section allows for further customisation.